Used For: The herb is known to induce milk production in breastfeeding women, promote perspiration, and urination. 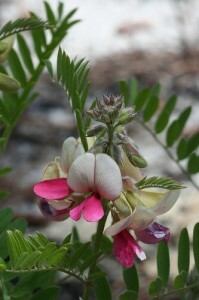 Goats Rue is applied to decrease sugar amount in blood, and is thus beneficial for diabetic patients. Still, the herb can’t substitute insulin therapy, and should be taken only under medical control. Goats Rue is an efficient remedy for breastfeeding women, as it is capable of enhancing the flow and production of milk, with its amount increasing for 50 percent in some women. It is also applied to promote mammary gland development. Preparation and Intake: To prepare an infusion, take a teaspoon of dry leaf extract for a cup of boiling water and steep for ten to fifteen minutes. The result is taken two times per day. In form of tincture the herb is used at a quantity of 1-2 ml thrice per day. Safety: There is no data concerning the herb’s safety level. It is possible that the plant interacts with the medicine you use. Speak to your health-care provider before taking the herb.